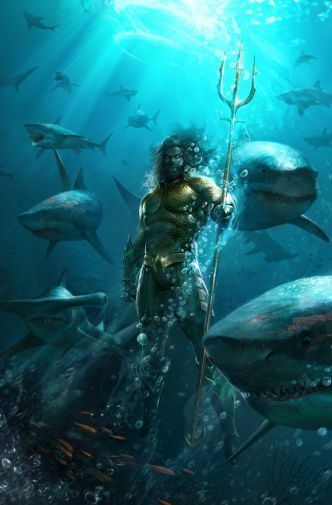 DC Comics’ Justice League will soon crossover with the Aquaman comics book series for a story arc titled “Drowned Earth.” Now, DC has announced that each issue of the forthcoming event will feature a variant cover based on Warner Bros. and DC Films’ Aquaman film. 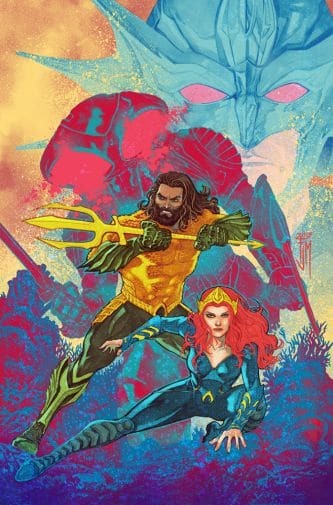 November’s six-issue JUSTICE LEAGUE/AQUAMAN: DROWNED EARTH event pits the Justice League against a race of ancient and long-forgotten sea gods and an army of alien mercenaries, reveal shocking secrets about Arthur Curry’s legacy, and thwart a plot to flood the planet and turn people into aquatic monsters. In celebration of Warner Bros Pictures highly anticipated filmAquaman, debuting in theaters nationwide on December 14, all of DC’s DROWNED EARTH issues will feature variant covers with art inspired by the upcoming feature film. 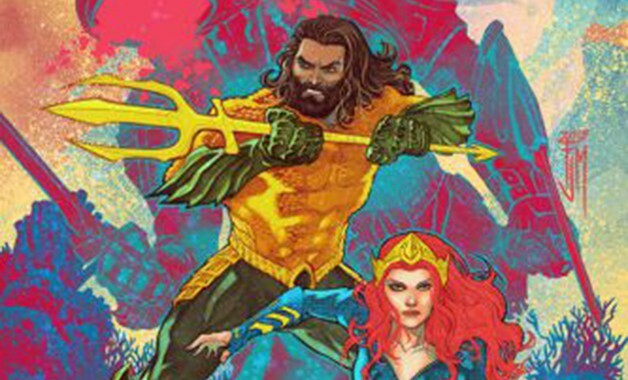 The first two Aquaman-themed movie variant covers, Francis Manapul’s JUSTICE LEAGUE/AQUAMAN: DROWNED EARTH #1’s variant and Francesco Mattina’s JUSTICE LEAGUE #11 variant, make their debut here, with covers by Ben Oliver (AQUAMAN #42, on sale November 21)), Lucio Parillo (JUSTICE LEAGUE #12, on sale November 21), Dale Keown (AQUAMAN/JUSTICE LEAGUE: DROWNED EARTH #1, on sale November 28) and Nicola Scott (AQUAMAN #43, on sale December 19) to be revealed later. You can check out both covers below!